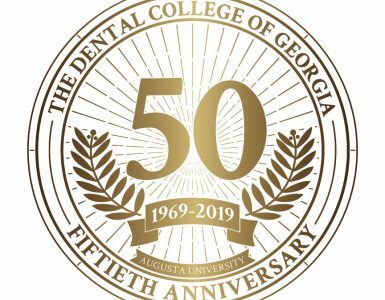 Dr. Donald Nelson Jr. (’02) has been named an honorable fellow of the Georgia Dental Association. He practices at Effingham Dental Associates in Springfield, Georgia. Dr. Ken Hutchinson (’82) has been named an honorable fellow of the Georgia Dental Association. He practices at Brookwood Dentistry in Snellville, Georgia. Dr. Benjamin Knaak (’98) has been named an honorable fellow of the Georgia Dental Association. He practices dentistry in Rome, Georgia. Dr. Ched Smaha (’03) has been named an honorable fellow of the Georgia Dental Association. He practices orthodontics at Smaha Orthodontics in Macon, Georgia. Dr. Kara Moore (’05) has been named an honorable fellow of the Georgia Dental Association. She practices at Gray Dental Associates in Gray, Georgia. 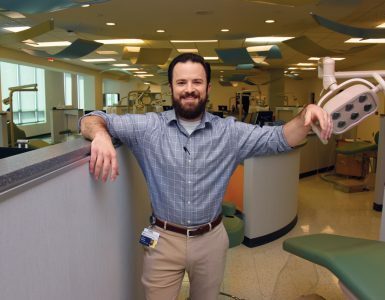 Dr. Christopher Comer (’08) has received the Academy of General Dentistry’s Fellowship Award. The award honors the highest-quality dental care by staying current in the profession. Comer completed 500 hours of continuing dental education, passed a comprehensive written exam and completed three years of continuous membership in the academy. Comer practices dentistry in Savannah, Georgia. Dr. Garrett Seeba (’09) has joined a group practice in Webster, Texas, after completing his oral and maxillofacial residency in 2015 at Louisiana State University, New Orleans. Dr. Jackie DeLash (’15) has joined our faculty as an instructor in the Department of Oral Rehabilitation. She completed a general dentistry residency at Atlanta’s Lutheran Medical Center and a master’s degree in health informatics from Augusta University. She is an inaugural member of Alpha Upsilon Phi, the Augusta University service and leadership honor society, and a member of the Hinman Dental Society. Drs. Emily Hahn and Becky Paquin, who completed DCG residencies in periodontics and oral and maxillofacial surgery this summer, respectively, received 2016 Connie L. Drisko Resident Awards for Professionalism. The residents were nominated by their program directors and were selected by Dean Carol A. Lefebvre’s leadership team. The award generally goes to a single resident, but co-awardees were selected this year. The award was inaugurated in 2015 to honor Drisko, a now-deceased former dean and well-known art lover. The honor includes a blown-glass piece of art and a $2,000 award. 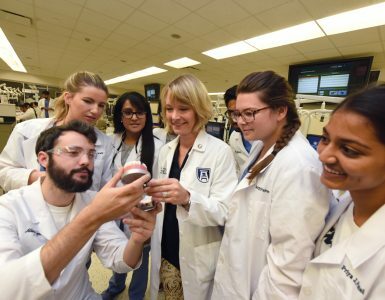 Paquin is serving on the dental college’s faculty for a year before completing her medical degree at the Medical College of Georgia — the first DCG oral and maxillofacial surgery resident to be accepted into the medical school. Hahn began private practice in New York.